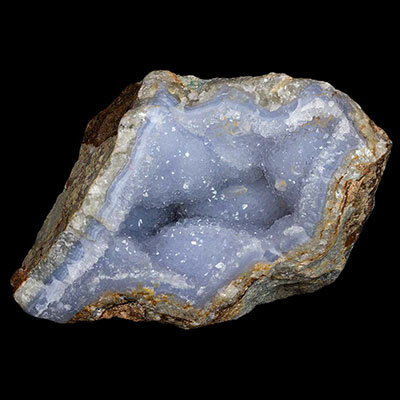 Blue Lace Agate Properties and Meaning – Blue Lace Agate is a member of the Crypto-crystalline Quartz family of Crystals. It comes in massive form with beautiful, white and blue colors. This mineral is readily available. 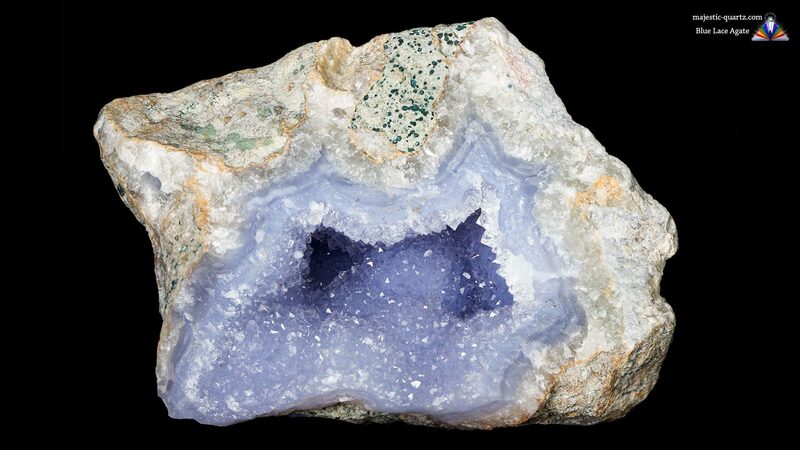 Read more about Blue Lace Agate healing properties information and view photos below. 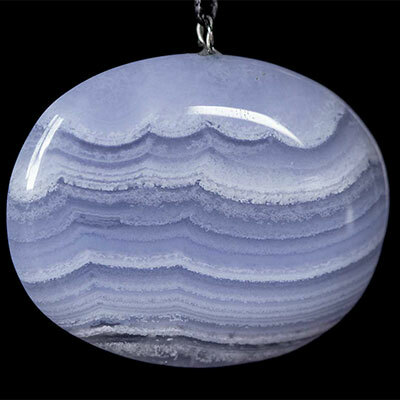 Blue Lace Agate gives one empathy and the ability to communicate with the angelic realm. It helps one become empathetic to those around us, along with family and friends. It centers the heart chakra, helps one communicate in forming just the right words for any given situation. This stone helps us to think before we speak, then imparting information in an easy to understand manner. Meditate with Blue Lace Agate by visualizing it’s color being breathed into your Heart, throat and third eye areas, this will help one become at one with “the all” and communicate with the angelic realm. This stone is a wonderful healer of long lifetime held fears and pain. It helps one to be released from these long held feelings through understanding and self forgiveness. 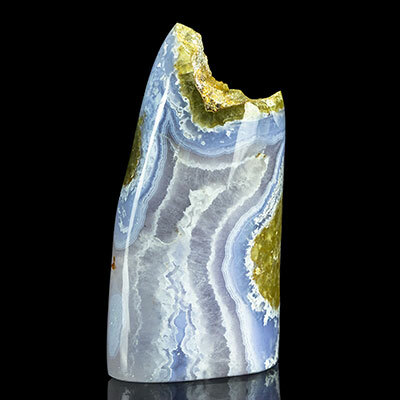 Blue Lace Agate helps one speak their truth, not just to others, but oneself as well. 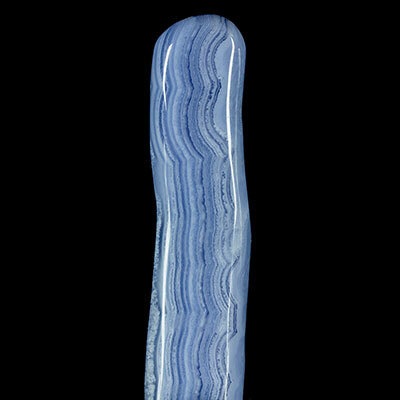 Blue Lace Agate is known to be a stone of good health, particularly when used in elixir form. Furthermore, used as an elixir, this stone further connects one with the forces of the higher self and the angelic realm. 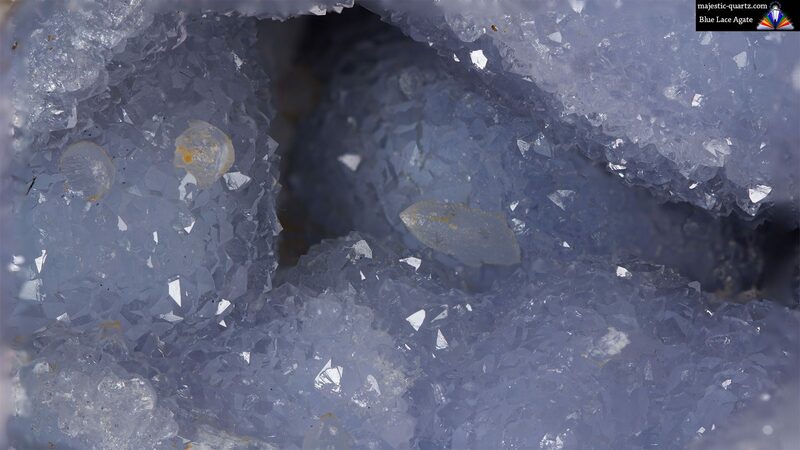 Click the Blue Lace Agate Crystal below for a high resolution photo! 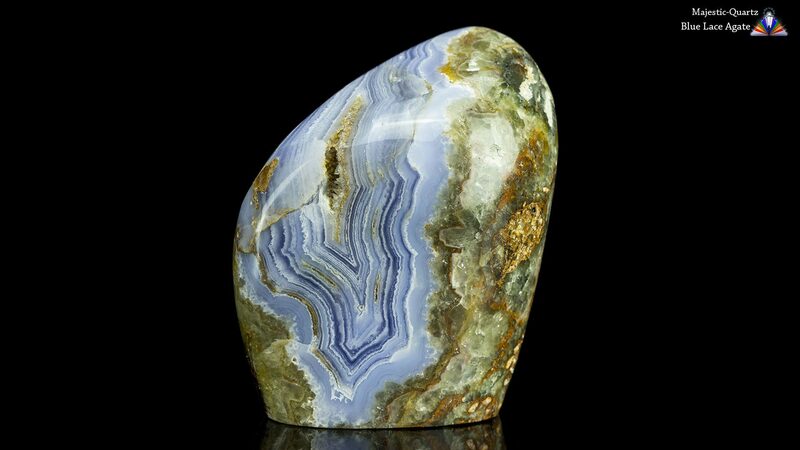 Do you have a personal experience, question or information pertaining to Blue Lace Agate Properties and Meaning? Please feel free to use the comments form below to share your knowledge with the Crystal Information encyclopedia. Please note, we moderate this feature to keep the site free from unwanted spam.